We’ve been tracking the Stubhub prices all year, and there have always been a few tickets available. They were hovering around $800 for a long time, they briefly dipped below $700, before shooting back up above 1000. Yesterday we tweeted that they were getting closer to $2000 – at that point there were 26 left. Today, there’s 0. All the news about rich people at Burning Man, including this more recent coverage in Gawker, must have caught the attention of a few rich people! As I write this there are only 4 vehicle passes left, starting at $266. Grab them while you can. Burn on, everyone lucky enough to go to Caravansary. Have a good burn, and please share your thoughts with us . For everyone else, stay tuned. Burners.Me has a few ideas in store for your entertainment next week. 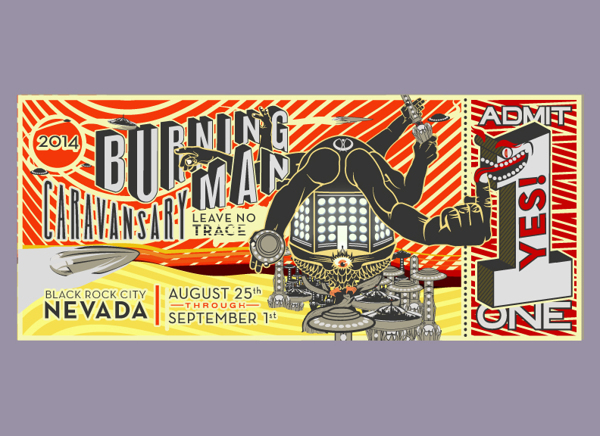 Burning Man isn’t charging $266 for a car pass, they were much cheaper (like the ticket prices) but these idiots purchased the tickets at face value and are now trying to make a huge profit. Lame! Car passes have been selling for a premium on the secondary market since they were created. Although it is possible that professional scalpers have been profiting from them, it is much more likely that BMOrg insiders are the ones who have been selling them above face value. The vehicle tax was only invented this year, so the idea that people who buy vehicle passes for above face value “don’t get Burning Man” or are somehow hurting the event is unproven. There is nothing in the Tin Principles about scalping, or integrity. BMOrg have been secretly selling $650 tickets, not just in the initial sale (which is no longer before Christmas). It appears that not every ticket sold to STEP went back into the STEP queue for face value purchase. Supply & Demand. BMorg created both. $266 to drive your vehicle into BRC. Where will the lulz end? For a long time I felt like BM should just vanish from the scene and we can all remember the good times, etc. But now, I honestly can’t wait to see how much more absurd it gets. Every year the BS gets more entertaining than the last. I do sometimes wonder if that is what they are trying to do…the ultimate farce, pranking their customers.